These are fantastic little toys. The bugs are made of plastic with sticky legs. 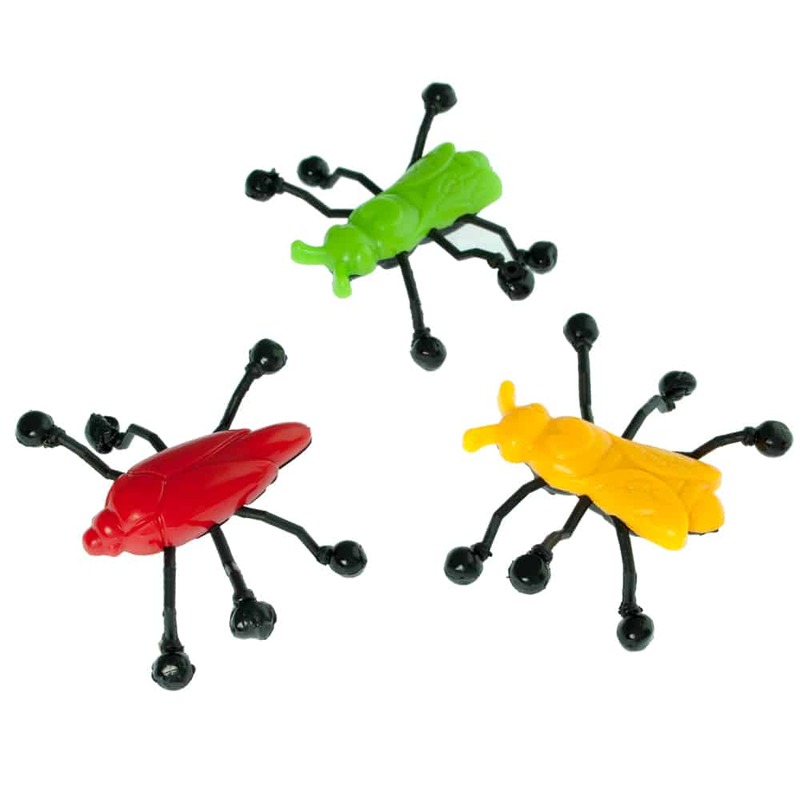 Throw them at the window or wall and watch them crawl down. They are a winner at every party.